Easter brings lots and lots of packaged Peeps to store shelves. These colorful little chicks and bunnies are everywhere. I couldn't resist buying some for us to "experiment" with. We started our Peep fun with a simple experiment. 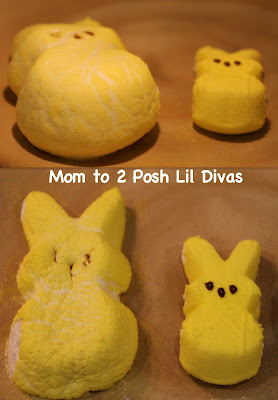 Before starting, I asked the Lil Divas to make a prediction about what they thought would happen to the candy peeps if we microwaved them. The Littlest Diva: "They will inflate." The Oldest Diva: "They will shrink." 1. 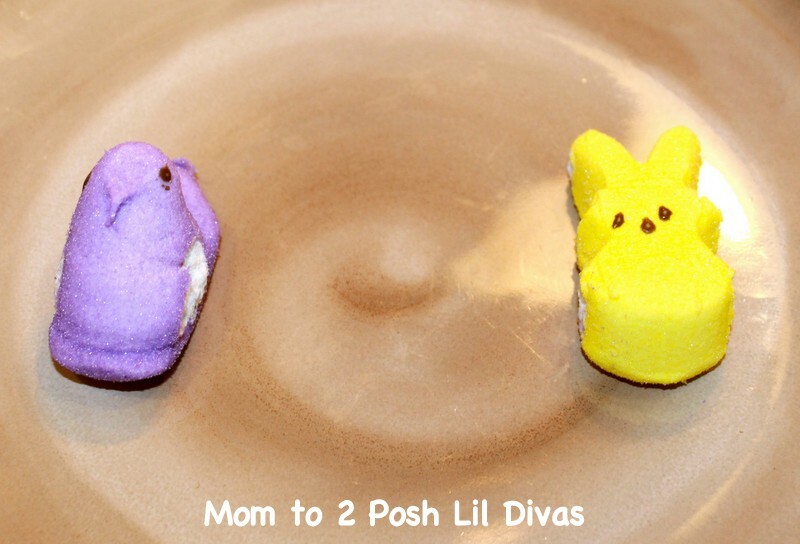 Put 2 different types of peeps onto a microwave safe plate. 3. Observe your peeps as they heat & discuss what is happening. 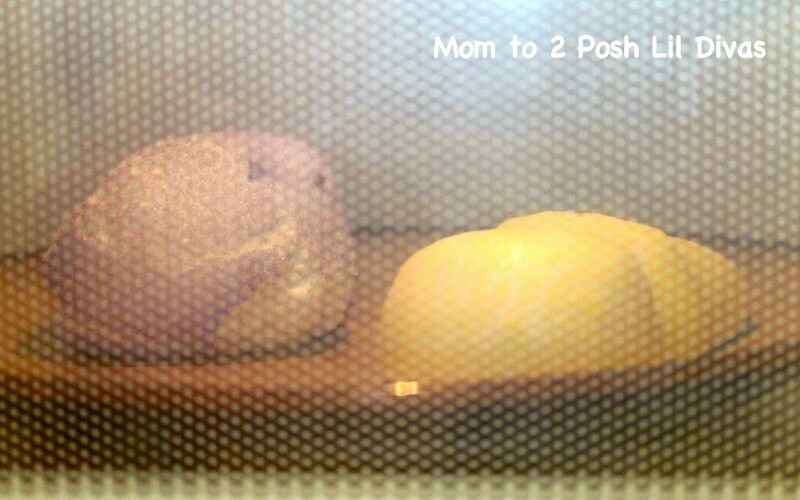 Here are a few shots of the heated Peeps out of the microwave. They do start to "deflate" pretty quickly after the microwave stops so be sure to observe them as they heat to fully appreciate how big they get! 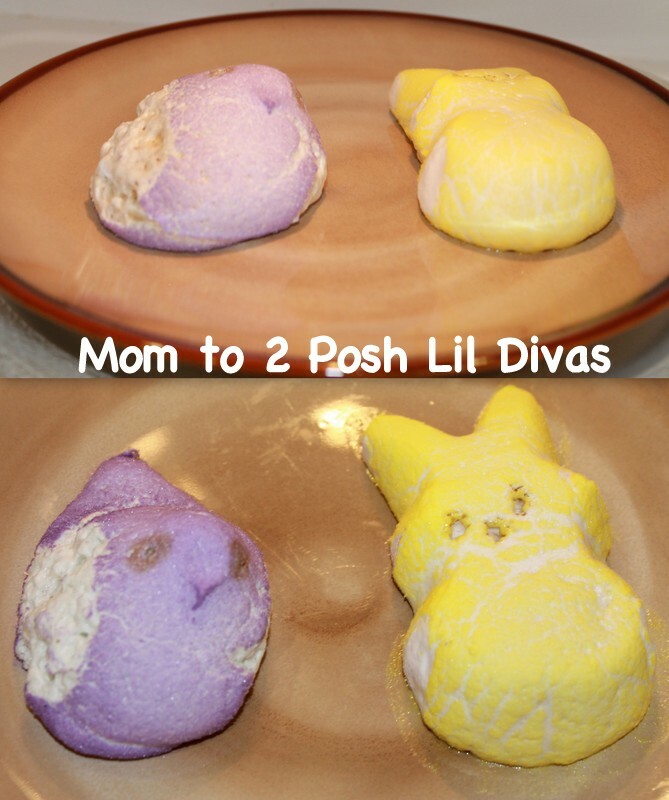 The Lil Divas wanted to see if the peeps would get even bigger if we left them in longer, so we popped them back into the microwave and observed what happened as we re-heated them. We discussed the girls predictions. They had differing views on who was correct. The Littlest Diva felt she was correct and The Oldest Diva decided they were both correct :) since the peeps initially inflated and then as they got burnt they deflated. 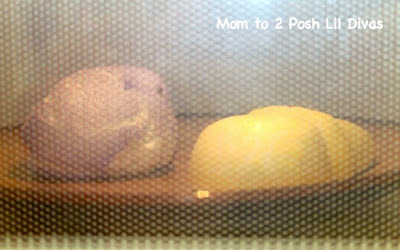 Stay tuned tomorrow for Peep Experiment #2. They don't look as pretty after being microwaved. haha, no definitely not! 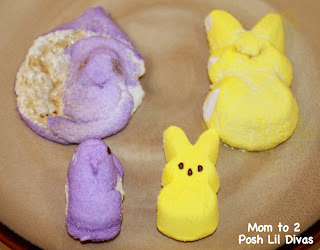 Mutant Peeps! It's cool to see how big they can get though while heated. The girls were amazed. When I was a teenager we took an Easter camping trip. 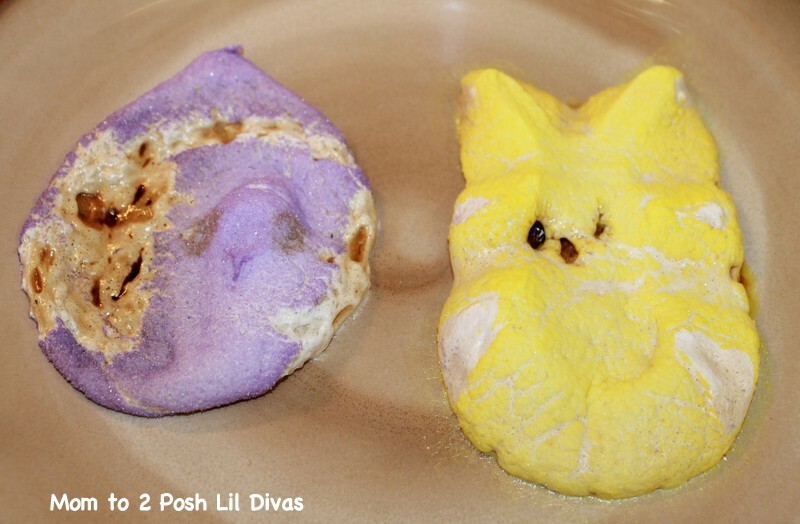 Instead of roasting marshmellos we roasted Peeps. The sugar coating on the Peeps made a crustier glaze on the roasted Peeps that was different and good. cool totally going to have to try this!! yes, try it! we went through quite a few peeps because the girls kept wanting to do it over and over again - to see just how big they could get. Vicky, wait till you see the other experiments! 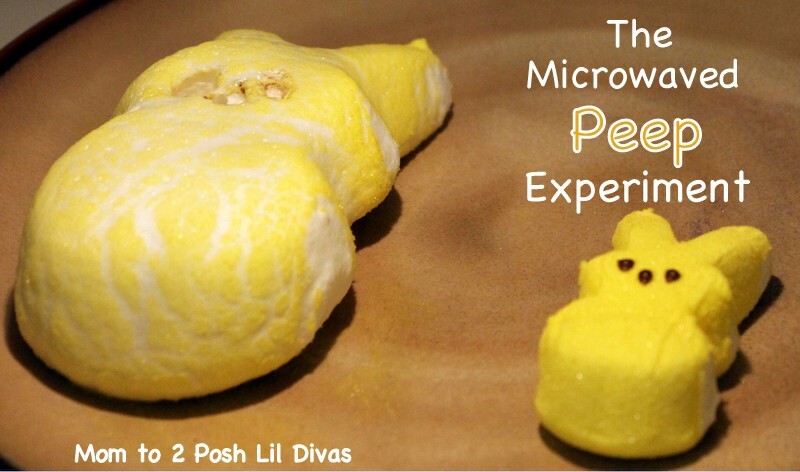 I will never eat a peep again! :) haha! Unfortunately, we didn't get an exploded one - they burned and shrunk back down! My girls would have found an Explosion cool, haha! Can you believe it, we don't have Peeps here!! Are they Marshmallows? Looks like a fun experiment! They are marshmallows coated in sugar! :) Guess they are a US thing. Does it make a difference if you lower the power settings on the microwave and heat for a longer time? Those are some good things to test out. We didn't try that and now you have me curious! Bonnie for the reheat I put 30 seconds on the clock just to "test" it out. Use more or less time depending on your microwave though - ours heats up pretty powerfully and quickly. Are you able to eat them afterwards too? This is so much fun! I featured it in my blog post that can be found here: http://www.favecraftsblog.com/indoor-activities-for-kids-fun-with-science-experiments-at-home. Feel free to share it with your readers! I love these experiments and how you've laid out each variation with pictures! I'm including this in my preschool Easter round up at http://preschoolpowolpackets.blogspot.com/2013/03/29-easter-activities-for-preschoolers.html -- let me know if that's a problem! Hi. I found your experiments and did them at home with my girls. Fun!!! I used to do this with my younger siblings. 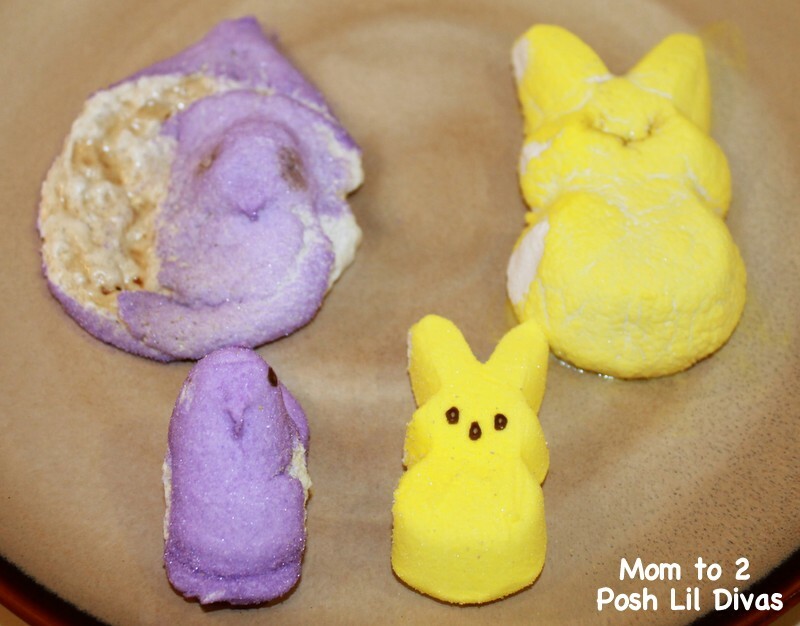 Then we would quickly put the inflated peep-while it was still hot- on a paper plate and put any little Easter chocolate on top. They'd stir it up while it was hot for a melted chocolate and marshmallow treat. I carefully roasted mine over a stove element on high, the sugar glazed wonderfully crispy while the inside was soft and gooey!